ISLINGTON Council leader Catherine West, widely tipped to be the Labour parliamentary candidate in Hornsey and Wood Green when the time comes, was back in the trenches outside the Whittington Hospital last Wednesday. 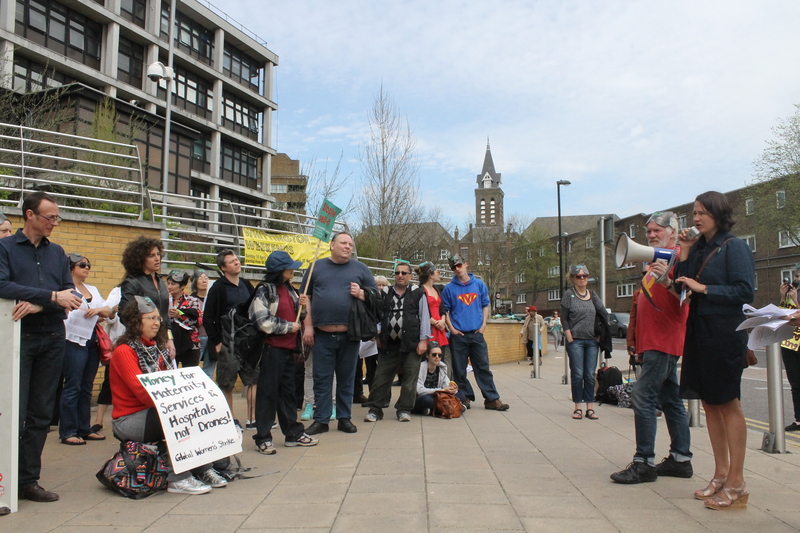 Here’s a picture (above) of her making a speech to demonstrators, who later picketed a board meeting with cat masks and megaphone to show the ongoing frustration with plans to sell off buildings and cut posts. The board retreated amid the din of protest to a private room. And here’s a tweet from Catherine’s Labour council colleague in Islington, Councillor Martin Klute. Whittington protesters will destroy the hospital if they keep going. Is that what we want?